Serena Clarke is from Sunny St. George in southern Utah. She has loved writing since she was young and has taken several writing classes. She loves fantasy with a hint of romance and wishes to contribute to the "World of Make Believe." 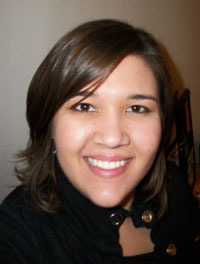 Serena has a Bachelors Degree in Graphic Design and is a member of the Red Mountain Shadows Publishing team. She is passionate about art and design, and enjoys designing her book covers as much as writing her books. Serena is a very accomplished pianist and has accompanied her mother, Linda Weaver Clarke, on many concert tours. She also played a few solos for the audience. Her five sisters and parents are proud of her accomplishments. 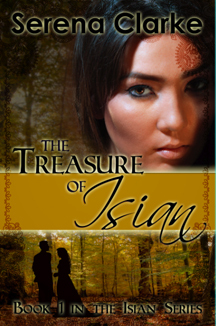 Become lost in the adventure, love, loyalty, and mystery of The Isian Series! Prince Garin is a brave, proud, adventure-seeking prince. Elani is his most trusted servant and she would do anything for him. Their quest to find the mystical Treasure of Isian is immediately interrupted and they find themselves confronted by giants, elves, dragons, and a vengeful water-witch. Elani must face her greatest fears to save her prince and her kingdom. Will they be able to make a great sacrifice to save the kingdom? 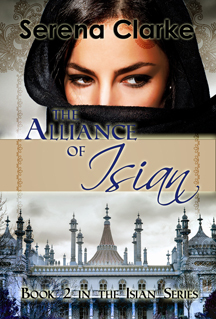 The Alliance of Isian: Isian decides to make an alliance with their long time enemies in order to defeat a common enemy. So Isian sends a proposal, offering their daughter to the prince, in order to ensure an alliance. Princess Gabrielle and Prince Alec must learn to work together and trust each other in order to triumph in the approaching war. With a mysterious beast attacking the kingdom, their lives in danger, and overcoming their vast cultural differences, will love grow despite their trials? 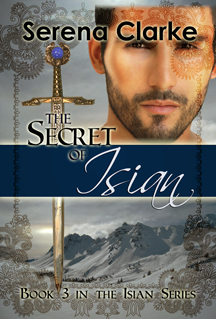 The Secret of Isian: Many prophecies have been uttered about the impending war and those who will seek to stop it. With the war finally upon them, Rimelda, a talented seer, has heard the prophecies and believes she can help. Prince Ander, doubtful of her abilities and her true intensions, but determined to save his kingdom accepts her help and they proceed on a quest to end the war. Hindered by enemies as well as their own doubts, Ander and Rimelda must search for guidance in unlikely places and unravel the mysteries of the prophecies. With the world shrouded in darkness, will Ander accept his destiny in time to save the kingdoms and will he admit his true feelings for Rimelda?